Garden lighting is yet another area of expertise we offer. Our team members can help you create the outdoor landscape you’ve always desired. Gorgeous lights can do the trick. If you want to draw attention to soft and hard landscaping alike, we can make your wish a reality. We’re experts in many diverse categories of garden lights. When you need seasoned professionals who can help you with spot lighting, downlighting, up-lighting, pathway lighting, crosslighting and beyond, we’re the company to contact. We can even assist you with security lighting for your garden. Maintaining a lovely and attractive garden is indeed critical. It’s even more critical, however, to maintain one that’s safe and sound at all times. Our security lights have the ability to introduce invaluable lighting to parts of your garden that are darker and harder to navigate. Property owners who want to minimize the risks of trespassing and other dangers, as a result, frequently rely on our in-depth garden security lighting services. 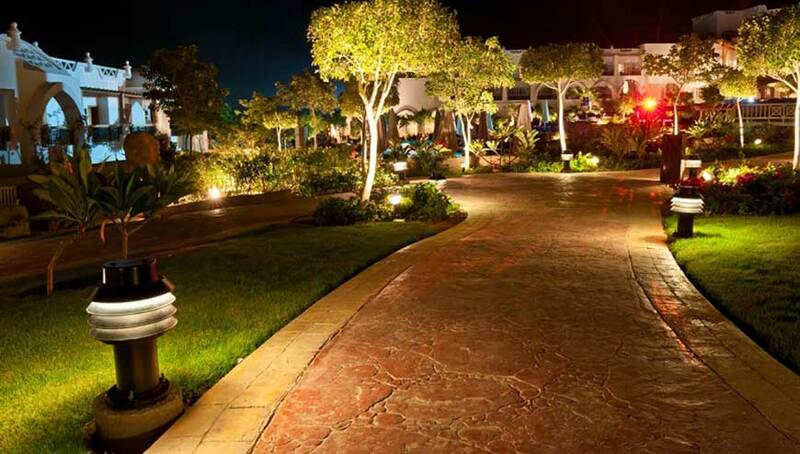 We can also dazzle you with our comprehensive garden lighting design knowledge. We can help you figure out which specific kinds of lights are optimal for your outdoor space. We’re proud garden lighting aficionados.